The Internet has changed the job search process tremendously. As an example, you can use Twitter to hunt for a job (I have a course about that: Check it out). Let’s talk about finding a job online with the real pro! Q1 How did you become an online writer and entrepreneur? What’s your career path? I stumbled into becoming a writer. I hated business classes in college, and I did really well in my English classes. My dad told me: Follow your heart, and the money will follow. Fortunately, he was right. As for an entrepreneur, I would say I’ve always been an entrepreneur, but I just didn’t realize it until recently. It’s true: You can’t connect the dots looking forward. Can only connect looking backward. Just trust it’ll work out. I began by writing for my student newspaper. Was the relationship columnist for a bit. It was fun but unpaid. I did marketing internships, which directed me toward becoming a journalist with a marketing mindset. Q2 When someone decides to pursue an online career, where should they start? Google — Google your questions! You **must** be curious. Asking good questions is key to solving your problems. 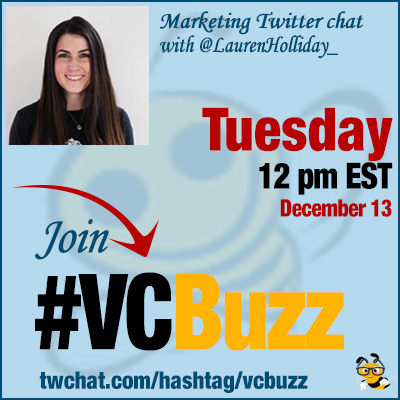 @vcbuzz A2) Join communities to network. Join Slack groups, https://t.co/mKqmaQJhKt, https://t.co/CRTGwIQZFp, WeWork, etc. Attend AMAs on @producthunt and the like. Create a blog on @medium and get reading! You need to read incessantly. Don’t forget to create/spice up your online presence — LinkedIn, Medium, Twitter, Facebook, etc. Q3 On your website, you say you no longer need a college degree to build a career. Would you recommend young people skipping college and starting right after school? It really depends on the person and what they want to do with their life. I would basically do everything I outline in this story but earlier. Q4 We’d love to hear some inspiring stories of people successfully building online careers! Please share who you are looking up to or your students’ success stories! @meowritt is doing really well. She just landed a full-time online marketing job before graduating. Q5 What are your favorite writing productivity tools? Oh, and how could I forget @starbucks? !